The Euro seasonal outlook is downright beautiful. Beat me to that Nor signal - Destructive Interference in the PAC with a -MT signal and GOA LP pumping the PNA. 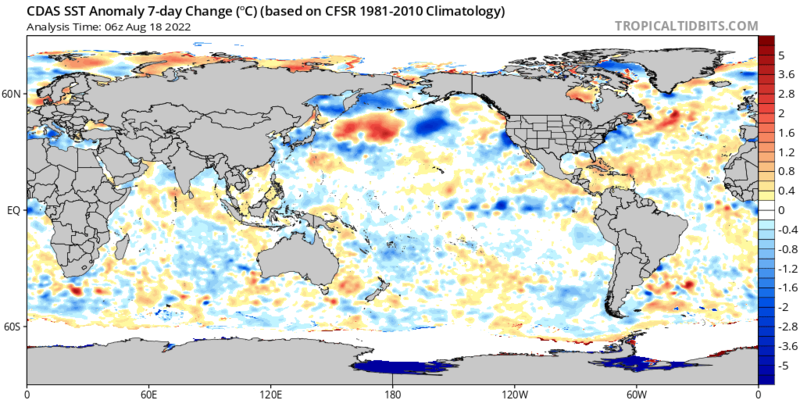 This could be a very interesting last week timeframe to col off those highly anomalously warm Atlantic waters that have been pumping teh WAR this fall. 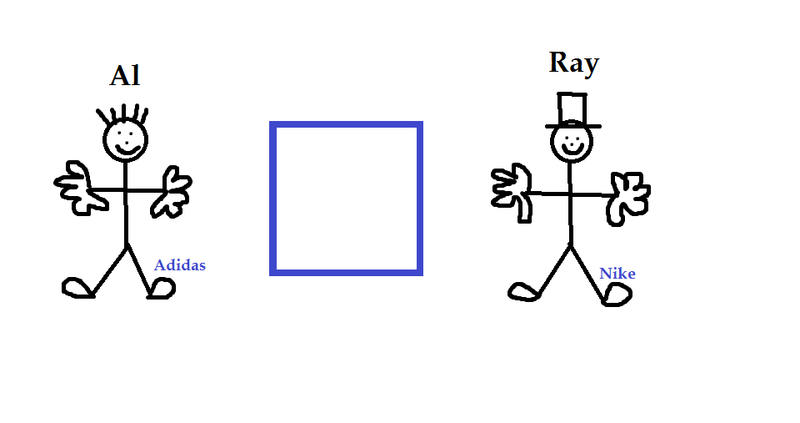 This is what we may expect in the winter if the MJO holds this line up rotation of 8,1,2!! Why the colder east Indian Ocean and warmer west off Australia will promote a nice divergence zone for these Kelvin Waves to rotate through. amugs wrote: This is what we may expect in the winter if the MJO holds this line up rotation of 8,1,2!! Interesting pattern next week will bring our coldest air of the season so far. The north Pacific Jet Stream goes poleward (shifts from west-east to south-north). That will form a +PNA which will squash the SE Ridge and allow a trough with a source air mass from the Arctic to settle in over the east 21st-26th. There is 2 or 3 storm coastal storm signals showing up in this time frame too. Something to watch for sure!! Not surprised. Lots of blue showing up off the Peruvian coast last 7 days. Meanwhile, warm pool in north-central PAC still lookin' good! Still very much like where my extended outlook sits with respect to almost every detail. I remain adamant that this is not a true pattern change......yet, though i may be off +/- each side of this cooler interlude by a couple days. I like how the FV3 looks overall, and believe that the EURO suite (and eventually lol) the GFS suite (playing into its typical cold season bias off too much eastern U.S. troughing) will come around to aligning with my thoughts presented earlier. Either way, I WILL be doing verification as able, but I like where I sit right now, and believe the true pattern change holds off until November. rb924119 wrote: Still very much like where my extended outlook sits with respect to almost every detail. I remain adamant that this is not a true pattern change......yet, though i may be off +/- each side of this cooler interlude by a couple days. I like how the FV3 looks overall, and believe that the EURO suite (and eventually lol) the GFS suite (playing into its typical cold season bias off too much eastern U.S. troughing) will come around to aligning with my thoughts presented earlier. Either way, I WILL be doing verification as able, but I like where I sit right now, and believe the true pattern change holds off until November. 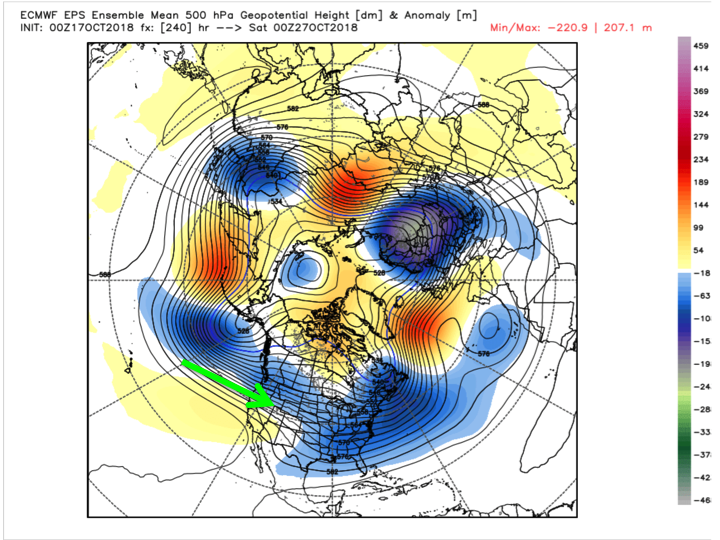 The pattern turns more robust and anomalous the last week of October into November. Our first snow, especially N&W of NYC, is probable in that time period. I like disagreement!!!! It fosters discussion!!! To your first point; yes, cooler air did come in for the 12th-14th, but then was wiped out in our region by the warm surge ahead of the system that ushered in our current cool period. The rest of the period falls right into place with the corresponding part to my outlook. While we are seeing an enhanced frequency of troughing, and will be biased cool during this period, we are still experiencing interludes of riding and anomalous warmth; the warmth during this stretch will just not be enough to counter the cold. However, as we look to the future, I believe the warmth will begin out dueling the cold again, at least for a time based on the factors outlined in the outlook, even though we will still be seeing troughs enter our region more frequently than before. I think we may be simply arguing over semantics here. My interpretation of a true pattern change is when we have significant changes for a substantial duration. So, while we are seeing these troughs, they are not "locking in"; they are coming and going with ridges and returning warmth in between. This is a transient pattern to me. It has amplitude, yes, but nothing has staying power yet, and that is because we have conflicting signals around the globe. My argument is that we WILL see these auspiciously align a few weeks from now, and then we will also start seeing positive feedbacks beginning to develop that will augment and help sustain the pattern where we have persistent troughing over the eastern CONUS that then gets enhanced/reinforced, not just replaced and then rinsed, washed, and repeated. You seem to be coming from the perspective that the pattern has changed away from the persistent ridging that was in place earlier in the Autumn, and you have no argument from me there. I simply am considering this as more of a transitional period than a true pattern change. Does that maybe clarify my stance a bit better? 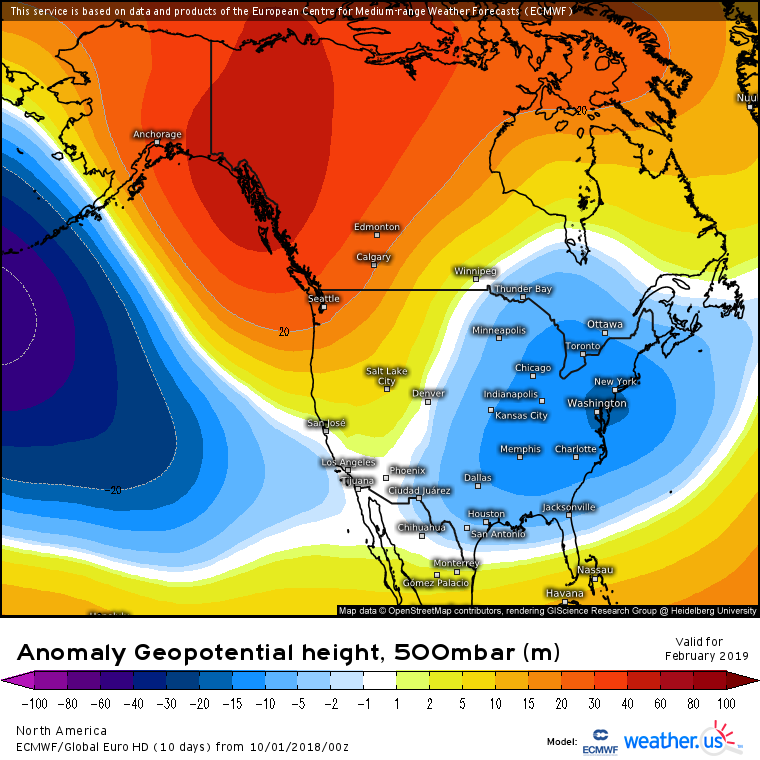 The above is a Day 10 EPS forecast of 500 hPa heights (black contours) and their respective anomalies (color shadings), with the green arrow indicating the progged fast Pacific Jet and resultant influx of milder Pacific air into our pattern. Therefore, I think cold will be moderated in addition to my other factors. Secondly, this also supports the idea of transience in the pattern. The above is same image at Day 15. The green lines denote the streamflow as depicted by the model, while the black line denotes where we should see this correct based on the progged height anomalies; time-mean troughing centered between the mountains with more ridging becoming evident in due time as the ensemble clusters tighten and fall into line with other factors. 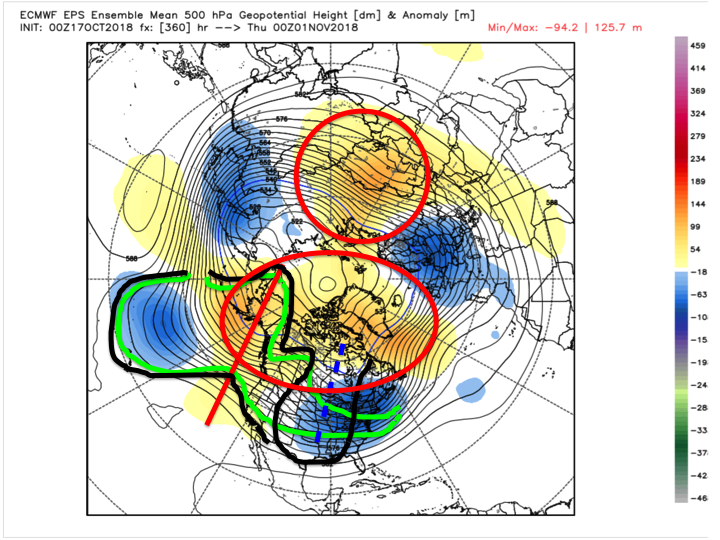 HOWEVER, note that this is dated as 00z November 1st, which is why I have the two red circles. Those circles denote the precursor pattern that will enact our TRUE pattern change. That 70N/70E ridging is a key, with bolstering high-latitude blocking developing as a response to Rossby wave train amplification from a strengthening MJO pulse and split flow regime likely leading to a large interior cyclogenesis event. We always say a strong cutter helps to change our pattern; well folks, there are the beginnings of our true change, at least in my opinion. Hopefully this helps clarify some things, but if not, please continue the discussion and I will add input as able (my schedule will be kind of tight these next four days, so it may take me some time to get back on here in a meaningful way). From my vantage point you guys are looking at the same box, but from different perspectives. I personally agree with both points. I def agree that the pattern has changed relative to the miserable pattern we saw back in Aug and most if not all of Sept...hot, hazy, humid compliments of the dreaded SE ridging. But I can see what Ray is saying in that what we are experiencing now and over the next few weeks is more of a transitional pattern into an eventual more consistent or sustainable pattern. I was watching Lee Goldberg earlier. He was asked if there was any correlation with the colder temps we're having now and if its a prelude to this winter. 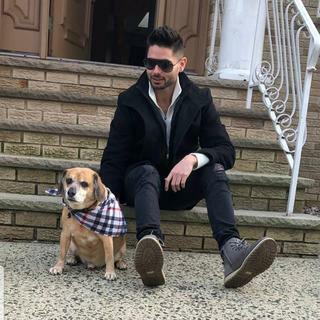 While he said that October weather conditions and the winters that follow really have no connection, he did give a forecast of a slow start to winter followed by and I quote... "A January and February rage". There is too much high latitude blocking overall for this pattern IMO to tbe transient and ransition for a solid 2 weeks but rather hit and hold. Last weeknof Rocktober to firat week of July. 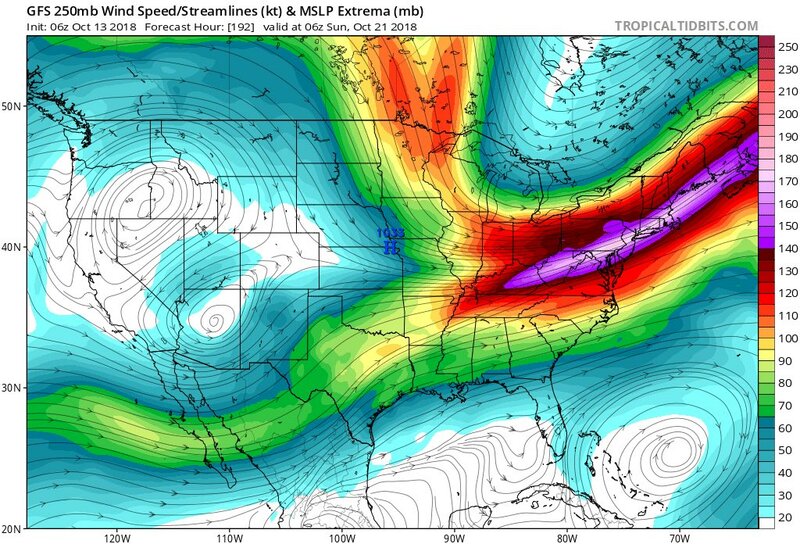 You have a massive PAC jet extension that will enhance to EPO region, WPO, PA and AO and NAO. Some argue that low solar and the Haley Sun Cycle of 22 years and 240 year sun Cycle along with 120 year cycle and 480 +/- a few years, is taking hold. They are aligning as are the Big Boy planets of Jupiter, Saturn, Uranus, Pluto and Neptune as I have read from John Casey. I see the PV perturbed and Canada an ice box ready to release her fury on us below. 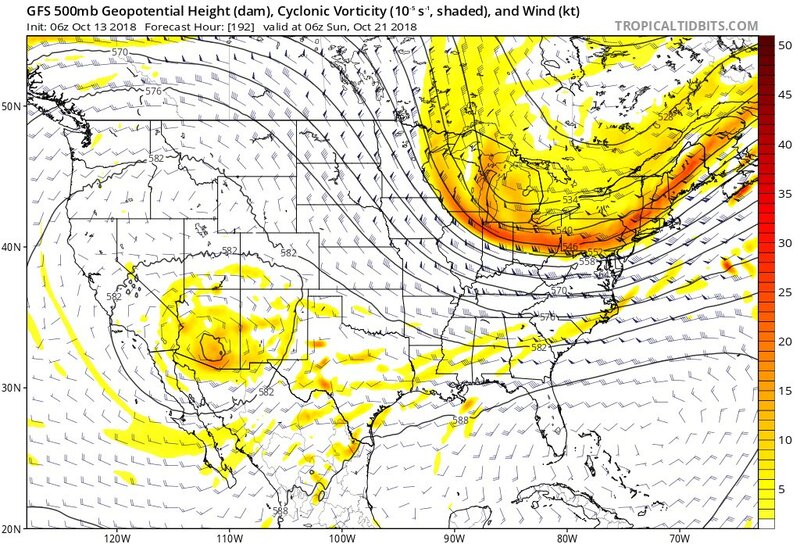 Speaking of the dynamic storm potential exists for the last week of October and through the first week of November. Tropcial moisture laden air clashing with very anomlously cold arctic type air = hybrid intense stormsssss. Warm Atlantic water to feed this and cold air to explode this. Bad recipe for some but good for weather weenies. Just my .02. They lost all their blue crayons Jimmy. I can't recall NOAA ever predicting below normal temps for the Northeast. Same map different year. Meanwhile JB is going very cold and snowy rivaling 2013/14.